Saigon Food Tour is delectable, and this private evening food tour offers not only food but local lifestyle. Enjoy a fruitful ice-cream in Bach Dang shop since 1940s after a walk on Nguyen Hue central walking street and take photos of the old symbol the city hall. 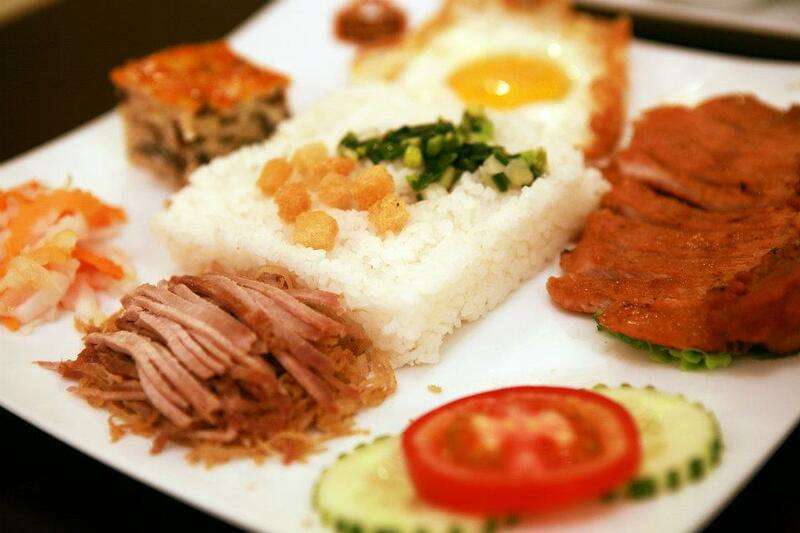 Enjoy “Com tam suon bi” broken rice cooked well with pate, baked rib, fried eggs and vegetable the most popular dish on Vietnamese dining table. Visit Bitexco Financial tower, the new symbol of Saigon, and cast your view at splendid city at night from Skydeck. 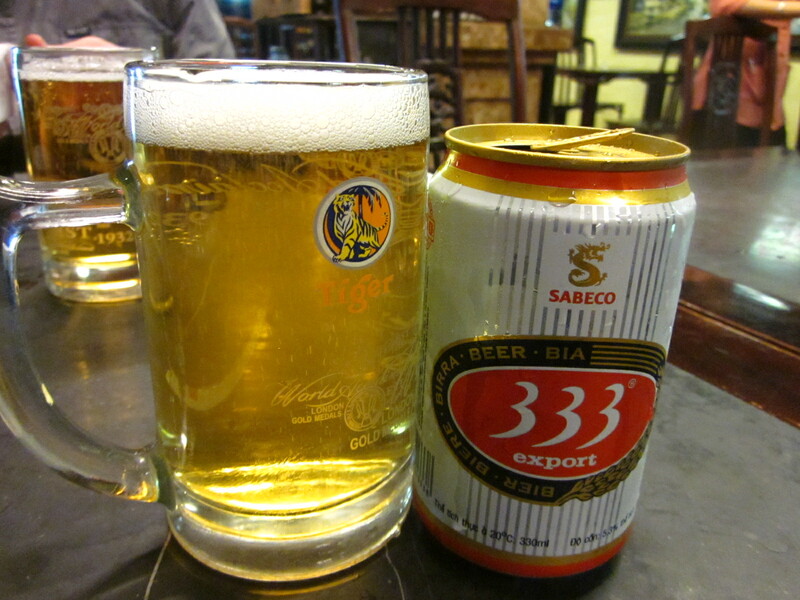 Sip some cool beer then end of your memorable evening food tour in Ho Chi Minh city. This Private Saigon Food Tour will offer you the chance to live as a Saigoneer. Pick-up and see-off car at your hotel. Private English speaking guide with good knowledge of food & beverages. 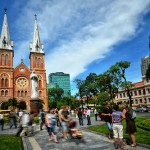 Walking and visit Nguyen Hue walking street in the city center. “Com tam suon bi” – This is the broken rice cooked with baked ribs and vegetable, which is the popular dish of Vietnamese families. 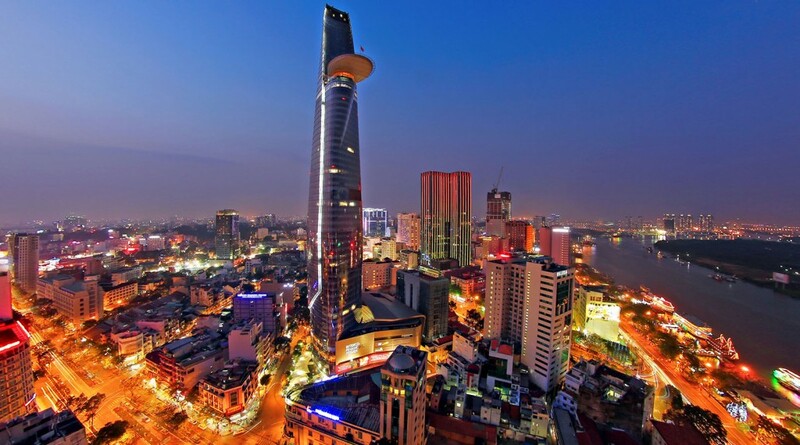 Admission to Bitexco Financial tower with great panoramic view of Ho Chi Minh city in evening. 1 bottle of mineral water per person. Afternoon at 15:00, our tour guide and driver pick you up at your hotel, transfering to Nguyen Hue central square. 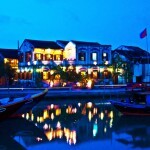 Walk on the city center streets and Saigon river bank. Taking photos in front of Ho Chi Minh city Hall. The tour guide will tell you more about the city formation. 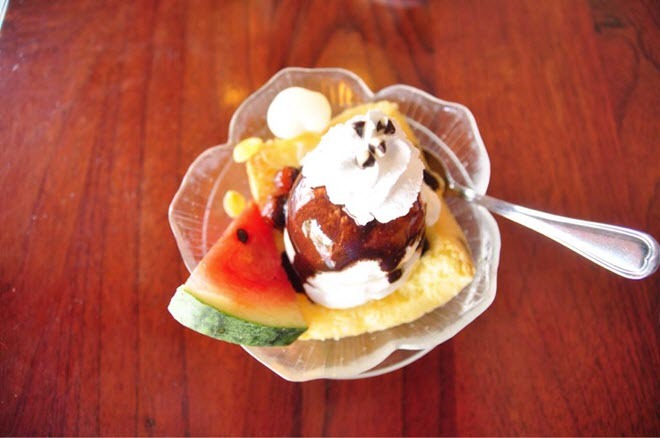 Visit Bach Dang ice-cream shop to opt a favourite fruitful ice cream (budget 100,000 VND/ person included in tour price). If seats on rooftop available, our tour guide will order for you. Enjoy a delectable dish of “Com Tam Suon Bi” at Com Tam Cali restaurant (budget 80,000 VND/ person included in tour price – drinks are not included). This is the broken rice cooked with baked ribs and vegetable, which is the popular dish of Vietnamese families. Surely it will impress you. Visit SkyDeck Bitexco Financial Tower with great aerial view at city at night. This is a new symbol of Saigon Ho Chi Minh city, the economic center of South Vietnam (entrance fee is included, drinks are not included). 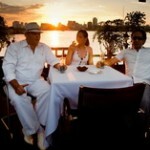 End of the Saigon food tour at your hotel at around 21:00. Say goodbye your our tour guide and driver. Nguyen Hue street runs from the Ho Chi Minh City Hall to the Saigon river. The present reconstruction is scheduled to reopen on 30 April 2015 for the 40th anniversary of the Reunification of Vietnam. A total rebuild will make it a pedestrian walking street. Flowers, trees, indirect lighting, statuary displays and a new Ho Chi Minh statue will be the highlights. Nguyen Hue is the most central and busiest street of Ho Chi Minh city. It gathers many 4-5 star hotels, finance buildings, boutique shops and food shops. It’s the central of the center. Years ago, it used to be the flower street before TET holidays when all artisans and florists came and displayed their botanical flower trees. In Vietnam, Nguyen Hue is really a famous street. Bach Dang ice-cream shop is very famous in Saigon since 1940s. 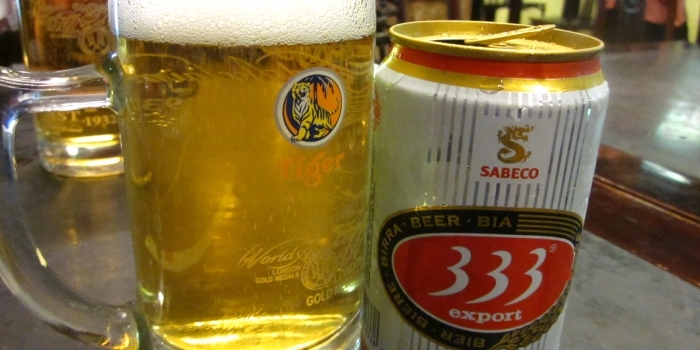 It’s also the favourite stop of most Saigon food tours to beat the heat. Bach Dang ice cream shop was established since 1940s. This is some of the best ice cream in Ho Chi Minh city. There are lots of exotic flavors, making this place an ice cream lover’s paradise. Toppings consist of many fresh fruits. This is a long withstanding shop within proximity to Ben Thanh Market. It is always swarming with people, so it is hard to find a table. Service is quick, the staff is efficient. “Com Tam”, or broken rice, used to be the most popular dish of Vietnamese before 1990s. If you’re looking for authentic Vietnamese food, come to Com Tam Cali restaurant. Actually, it is a chain of 10 restaurants in all districts of Ho Chi Minh city. “Com Tam”, or broken rice, used to be the most popular dish of Vietnamese during the subsidising period when Vietnam lacks foods to cover the domestic needs. When the economy got developing, “Com Tam” had been pushed in the past, but in early 2000s, a Viet Kieu “Vietnamese overseas” person woke it up by opening some restaurants serving this kind of rice in a new style. The food is tasty, the setting comfortable, the service fast and efficient and the choice of meals on offer is vast. Give it a try if you are in Ho Chi Minh and would like to sample the local cuisine. Bitexco Financial Tower is the new symbol of Saigon. Its SkyDeck at the 49th storey is our last stop in Saigon food tour. Opened in 2011, Bitexco Financial tower is the tallest building and a new symbol of Ho Chi Minh city. Saigon Skydeck on the 49th floor of this tower is a non-smoking environment & chewing gum is strictly prohibited. Observation deck is at 178m, and you can look at Saigon river and the city center at 1 time.city center at 1 time.